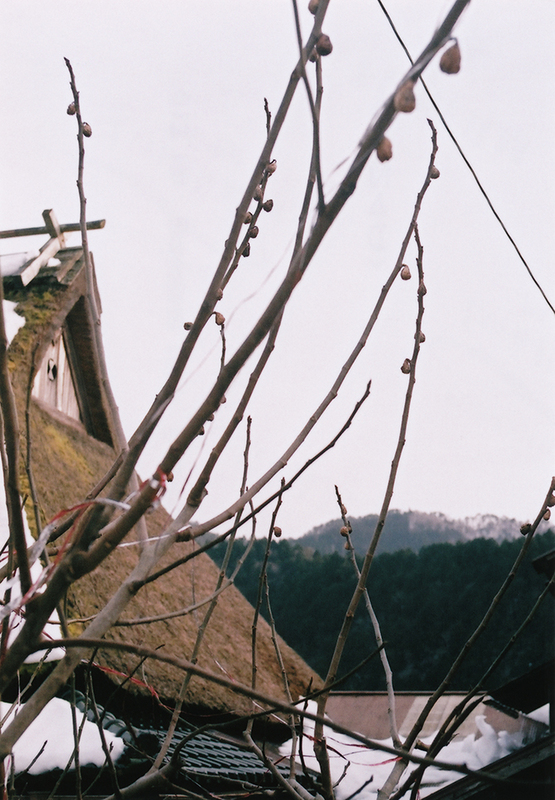 We are pleased to present “A dream vision of mountain village life” exhibition. Tapestry of “A dream vision mountain village pattern” patchworked with old hemp and Sumi-dyed ramie, “A dream vision of mountain village life kamikoromo” which was produced for the cover installation of new issue “here and there vol.13 HYACINTH REVOLUTION” will be exhibited. Cashmere knit v-necked sphere sweater and v-necked accessary parts. Season color are green grapes herbal dyed ancient white, red grapes herbal dyed pink, Sumi-dyed gray, vivid pink, precious Ryukyu indigo grown on Okinawa island etc.